While I'm not a huge fan of cooking (and having to get together a healthy, satisfying meal for a family of four on a daily basis), I do love to bake. Probably because I love to eat sweets. Especially homemade vegan baked goods. I like to know what is in my food, and what isn't in my food, like all kinds of chemicals with names I can't pronounce. And baked goods also make nice snacks to send in the kids' lunches or to grab for a quick mid-morning or afternoon snack. 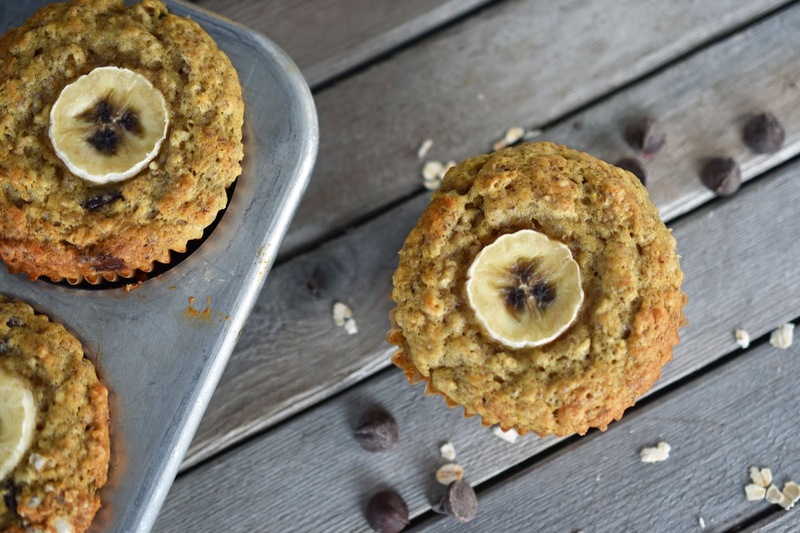 This Never-Fail Banana Oat Muffins recipe will be a shining gem in your recipe collection. 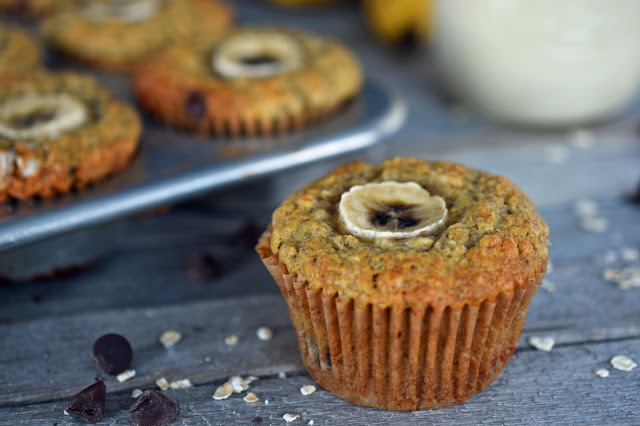 These banana muffins boast healthy ingredients - like bananas of course, but also oats, ground flax and coconut oil. But these muffins aren't just healthy - they are tender, delicious and just the right amount of sweet. I have made this recipe sooo many times. 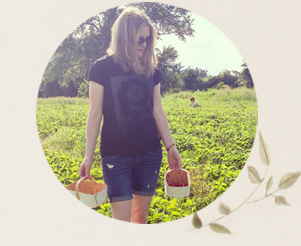 It's one of those recipes that I come back to time and time again - for a weekend brunch at home, for an afternoon visit to a friend's house for tea or for breakfast when we have overnight guests. I'll even pop them in the oven before the kids go to school in the morning. You can have these in the oven in 10 minutes and then get other tasks done for the 20 minutes they are baking. Sometimes I'll make them as mini-muffins if there's going to be a ton of food or just for fun. 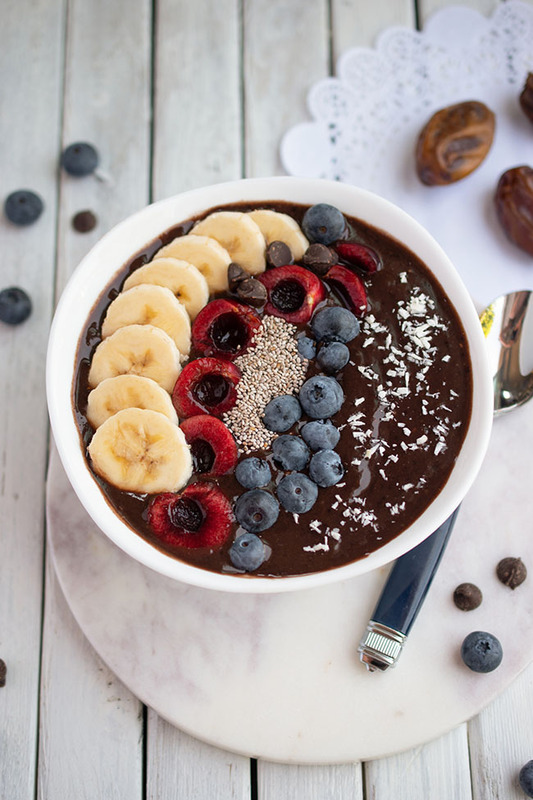 Quick tip: I blend the wet ingredients together in the blender so there's no need for mashing bananas by hand! This recipe is modified from a recipe in one of my most-loved cookbooks, The Garden of Vegan: How It All Vegan Again! . I have removed the walnuts, so the kids can take nut-free muffins to school. I have replaced the oat bran with oats and flax. Best of all, I have added chocolate chips. Feel free to include those if you haven't already eaten a bunch of chocolate that week (or maybe even if you have). 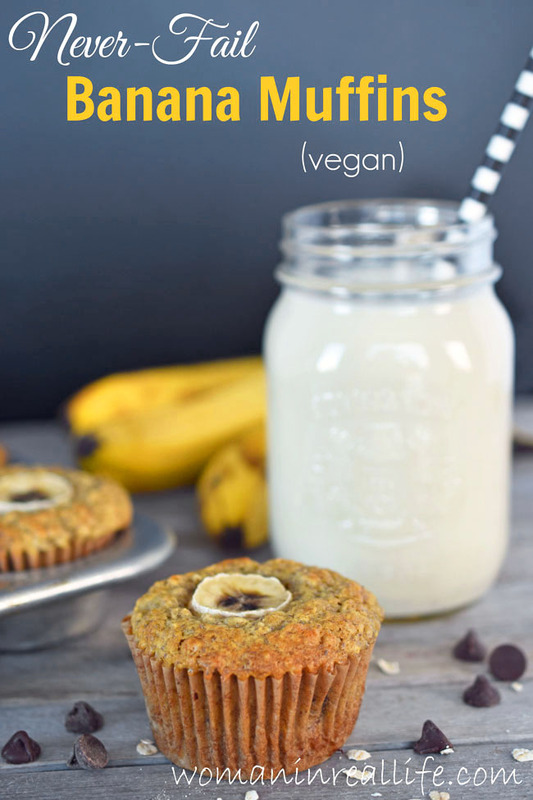 Whenever I make these muffins for (non-vegan) others, they always ask for the recipe. Always. (Not even kidding) Visit the blog, I'll tell them from now on. Ha ha. You cannot go wrong with these, but let me know if you do and we'll figure out why! Once you start baking your own healthy, homemade muffins, those fluffy store-bought muffins will no longer hold any appeal. Pinky promise. What's your fave kind of muffin? Preheat oven to 375 degrees F. Lightly oil a muffin pan or line with paper liners. In a large bowl, stir together the flour, sugar, baking powder, baking soda, salt, oats and flax. Put bananas, coconut oil, vanilla and non-dairy milk in a blender and blend until smooth. (You can do this by hand too if you feel energetic.) Stir wet mixture into dry mixture. Stir in chocolate chips, if using. Spoon batter into muffin pan, dividing evenly over 12 muffins. Bake for about 20 minutes until a knife inserted in center comes out clean (aside from chocolate). If you want to do part or all of the recipe as mini-muffins, bake them for about 15 minutes.